20 Little But Important Things EVERY Girl Learns In Her 20s! While your teens are your formative years, your 20s is the time when you enter adulthood in the real sense. And one of the biggest perks of being an adult is learning the secrets of life and not panicking over small issues. Here are some lessons you get to learn in this decade of your life! Embrace them, and conquer the world! Well, by now the notion of first and everlasting love may have come crashing (good for you if they haven’t), but it’s best to know that it isn’t the end of the world. It’s going to be hard – very hard - but it’s alright. Even if it’s a bad thing thing, it happened to make you strong. Don’t fret about “why me”. Different kinds of people will come into your life for different reasons. Some will stay, many will go - but it’s all okay. If they disappear, don’t be stuck on them, move on - you will find better people. Nothing is permanent – and trust us, that’s a good thing sometimes. The past is over. You have to let go of that “what could have been” feeling and go forward. Embrace change and let go. Even if you want to, there’ll be times when you don’t look like a diva. It’s okay. Just wear your confidence and step out. Scientifically, ageing begins in the 20s, so yes, sometimes you may not like the mirror, but that’s fine. Take care of your health, but don’t imagine you can reverse it. Live the moment – have a blast. After all, age is a number, but memories last forever. Oh yes, there’ll be plenty of these moments throughout your working career and personal life. Again, no point staying upset. You can’t always feel guilty or sad about things beyond your control. Chill. Gone are the days when friends and family were always at your beck and call. Everyone has their own lives and somedays you may feel so lonesome that you’d want to die. Breathe, chill, put on that smile and go! Gone are the days when buttering up the boss smoothened your climb up the ladder. Everyone these days is a stickler for good quality work. Do that. Even if you are the one who is good always. There’ll be those who hate you, without any reason. Don’t drive yourself to the edge trying to gain their love. Fight for what you believe is right, even if the world disagrees. Misjudging people is easy and there’ll be plenty of times you’ll end up making that mistake. It’s okay – you were just trying to see the good in someone. When you find yourself in that eternal relationship, you may realise that your love isn’t all that you had imagined. They may not be perfect on their own, but they are perfect for you - and that, my friend, is important. Most often than not, they have your best interests at the core of their arguments, and so it’s a very good idea to listen to them and analyse the situation accordingly. It won’t fail you. EVER. The day you realise how blessed and fortunate you are, look around and learn to give to the less fortunate. Pack your bags and leave. The world is your oyster. Blowing your entire salary on something superfluous is...superfluous. There’ll be days when you are out of work for whatever reason – you must have your own contingency plan in place. Not everyone has your best interest in mind, so watch your back. That’s what life is all about! GIFs: Tumblr, Giphy HAVE A STORY IDEA FOR POPxo? If you want to hear about it, we can write about it! Just tell us your idea here! MUST-READ : Why Being Single In Your 20s Might Be The Best Thing Ever! 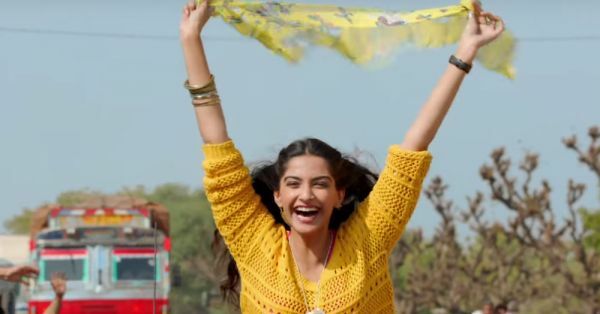 MUST READ : 10 Things Every Girl In Her 20s Should ALWAYS Remember!